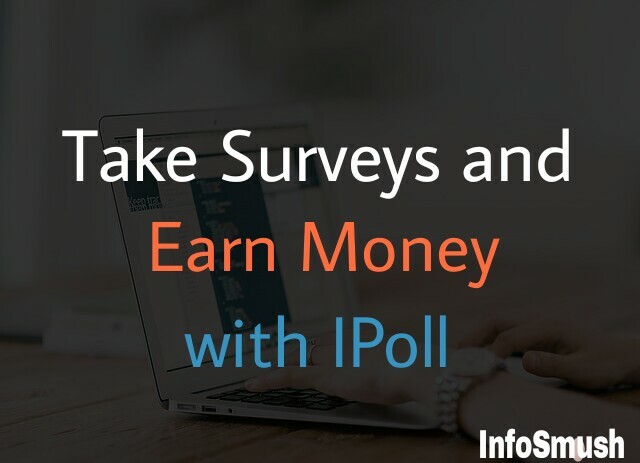 IPoll Review: Get paid for Sharing your Opinion. $5 Bonus for Sign up. Completing Surveys is one of the highest paying jobs available online. 99% of money making site has surveys in their deck. In most surveys, you just need to choose from the given options. Once you're done filling out the form, you'll get your reward. Why do I Get Paid for Taking Surveys? Famous companies need your opinions and thoughts to improve their products and services. For that purpose, they are willing to spend some dollars. Better products and services will gain them more profit. So, who cares for some $$. Companies know that no one is going to waste their time filling out a survey form for nothing. People will only take the time to share their opinions if they have something to gain. So, now you know why you get paid for surveys. IPoll is a survey and research community which is a part SSI(Survey Sample International) a survey giant. SSI was established in 1977. SSI covers the whole globe. I won't talk much about SSI as that's not our main topic here. Getting back to IPoll. On IPoll you will get rewarded for sharing your opinions about the products and services you use everyday. IPoll also gives away $5 for just signing up. Complete your profile to get more surveys. Don't provide false information. Your account could be banned for this. paypal, amazon, iTunes gift codes,credits on Travelocity, Visa pre-paid cards, and donations to various charities.